My work is influenced by Museum Collections and objects collected over time. 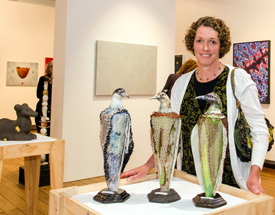 I like to think of my work as a trans-cultural mix of myths, ceramic archetypes, historical influences and extinct birds. 2018 Solo Exhibition. Remnants, Remains. Aratoi Masterton. 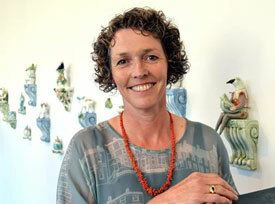 2010’s Portage Ceramic Awards judge, Australian ceramic artist Stephen Bowers says Kirsty Gardiner’s work won because it was distinctly imaginative and well realised. ‘It takes a classic vase-shaped urn and then, literally, opens it up, to reveal a strange and delicate inner world. It shows the narrative, illustrative side of clay. It is like a 3D illustration, a miniature model of a scene from surreal, perhaps slightly gothic and unsettling fantasy story. It references dreams, science, museums, laboratories, mummy jars, collections, nature and metamorphosis (amongst other things). It is quite an intriguing piece, like something straight out of an adult fairy tale." 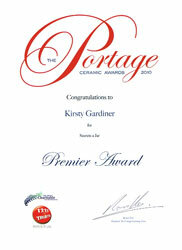 Click here to see Kirsty's latest work.